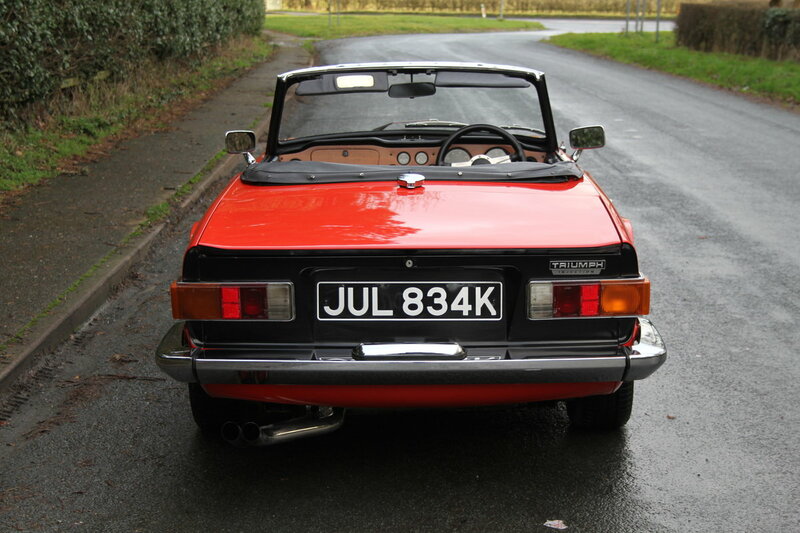 We are delighted to offer this superbly presented home market Triumph TR6 150BHP onto the market. 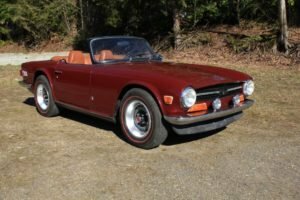 This is the ultimate TR6 model being a CP chassis number car with overdrive and in today's strong TR6 market this car represents excellent value. JUL 834K is finished in its original colour combination of Pimento Red with Black leather trim, original correct wheels and has been restored during the 1990's to an excellent standard. From the Heritage Certificate we know the TR was built on the 24th November 1971 and was registered new in Central London. 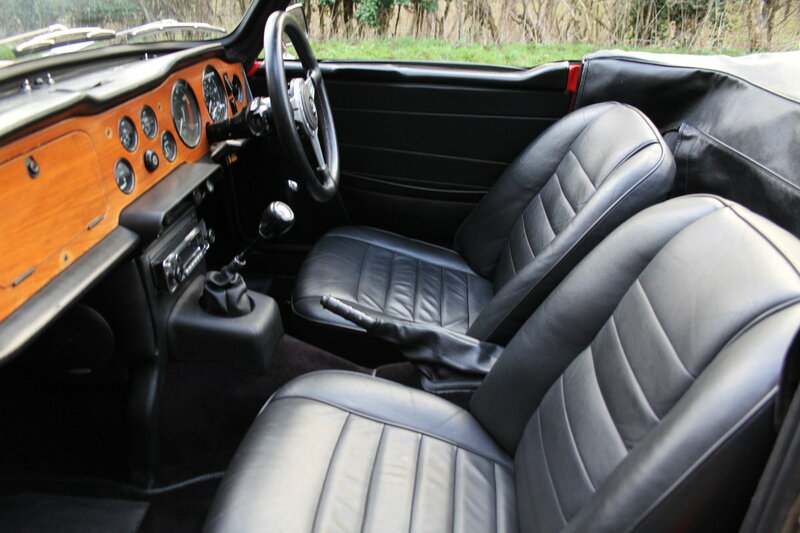 The TR comes with an as new soft top hood, hood cover, tonneau cover and history file to include handbook, MOT's, invoices and a full photographic record of a comprehensive restoration. 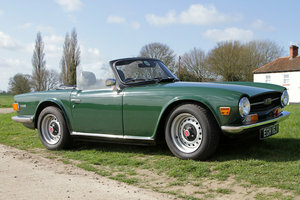 Further to this, the car had a further programme of work two years ago that has put the car into outstanding condition. 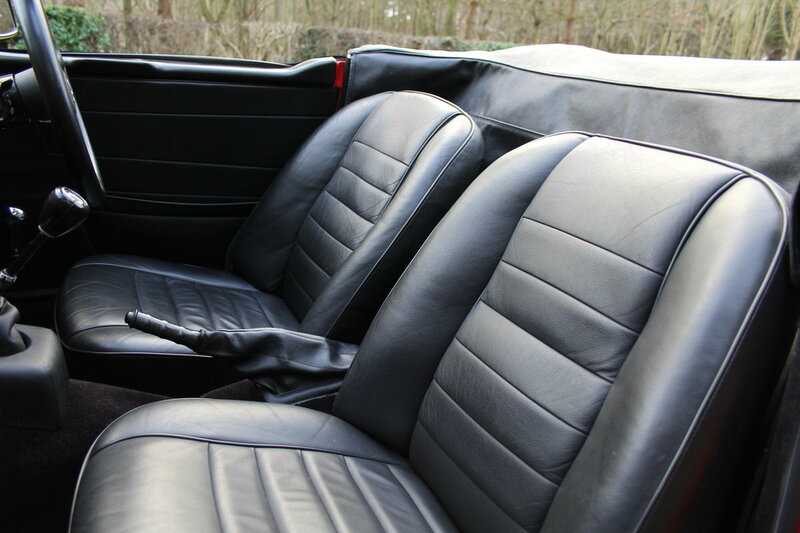 JUL 834K is an impressive car and this is partly due to the high standard of restoration undertaken. We can see from the condition and photographs that this car was taken back to the bare chassis. 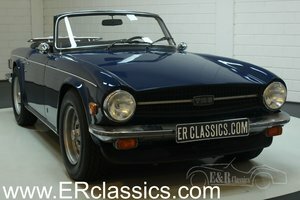 The body was totally stripped down, removed from the chassis and rebuilt to a high standard. The chassis was stripped, cleaned, prepared and painted and prior to re-fitting the restored bodyshell, it was prepared for a full re-paint in Pimento Red including the underside, inner arches, boot and engine bay. The body was totally stripped back off the chassis resulting in a top class finish. During build up the TR was treated to new chrome, new lights, hood, upholstery and the engine bay was finished to a standard ready for shows and events. 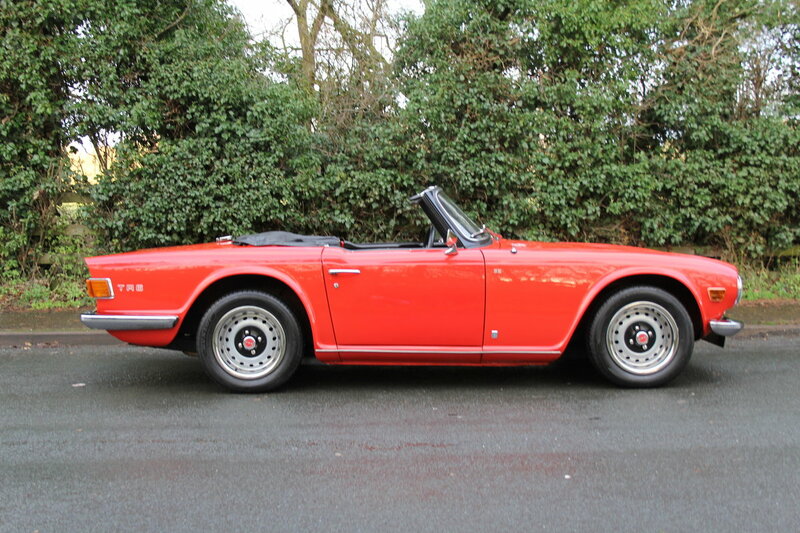 The TR6 was treated to many new mechanical components, the engine and gearbox were stripped, checked and overhauled as necessary, the suspension and brakes all re-fitted to the car as new and any component requiring work was either replaced or repaired. Twenty years on from the rebuild it is clear the car has had low usage. 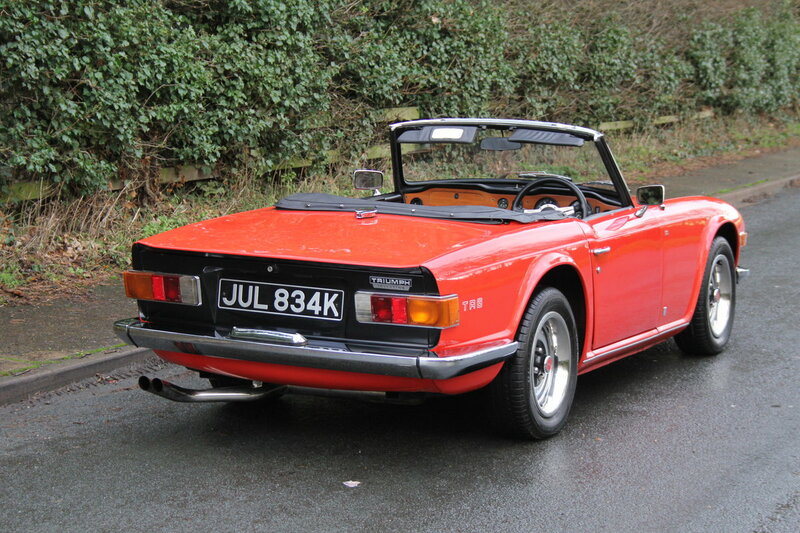 From previous MOT's we know the TR6 has only covered 3500 miles since 2011 and it has been a fair weather car. This is clear from the stunning, clean underside and engine bay. The bodywork is still impressive, as is the gleaming Pimento Red paint finish that had some re-finishing work in 2017. 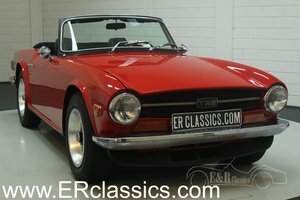 The TR6 presents superbly all these years on and this is due to the quality of workmanship and the way this car has been kept since. The chrome is still of an excellent standard, so are the wheels and the interior is very sharp with excellent leather seats, carpets, door cards and dashboard. The engine bay is still stunning and good enough to show. 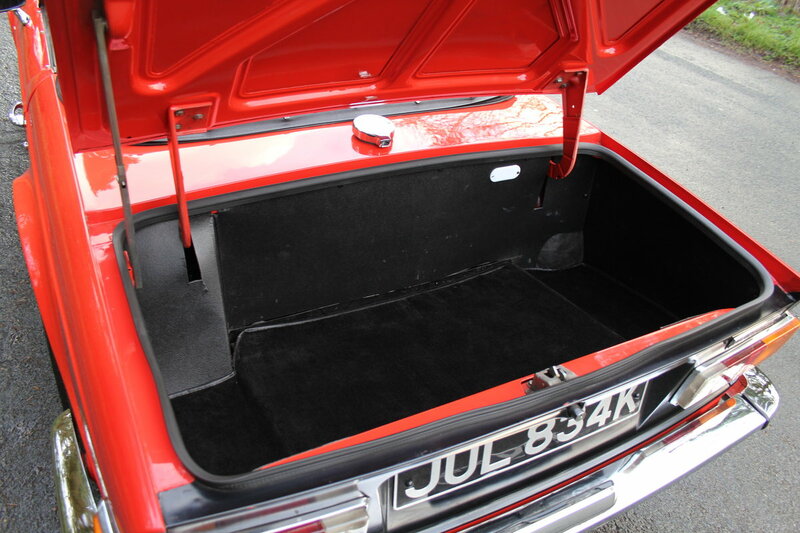 The boot is excellent and on removing the carpet and boot board, the spare wheel well is clean, sharp and like the top of the car, just as are the main floors under the carpets. 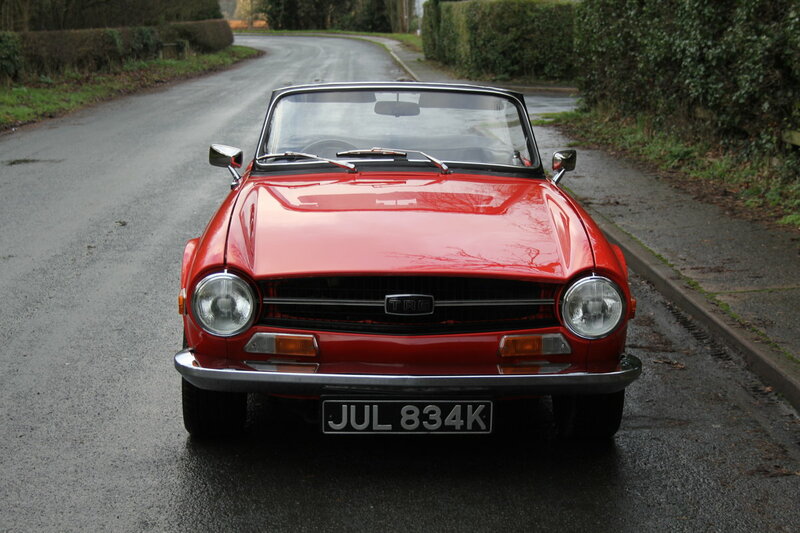 JUL 834K is a brilliant driver, its quick, lots of fun and excellent on the road. 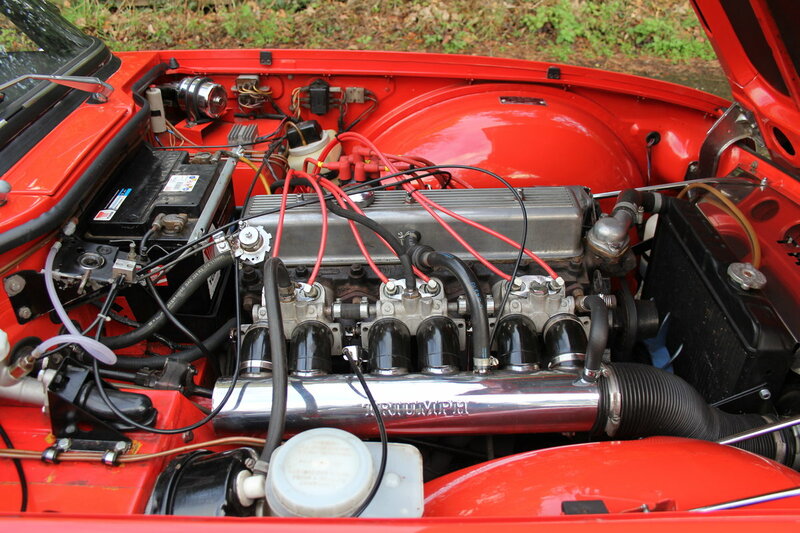 The fuel injection system feels perfect, the car starts up promptly, runs incredibly well both cold and warm and has outstanding performance. 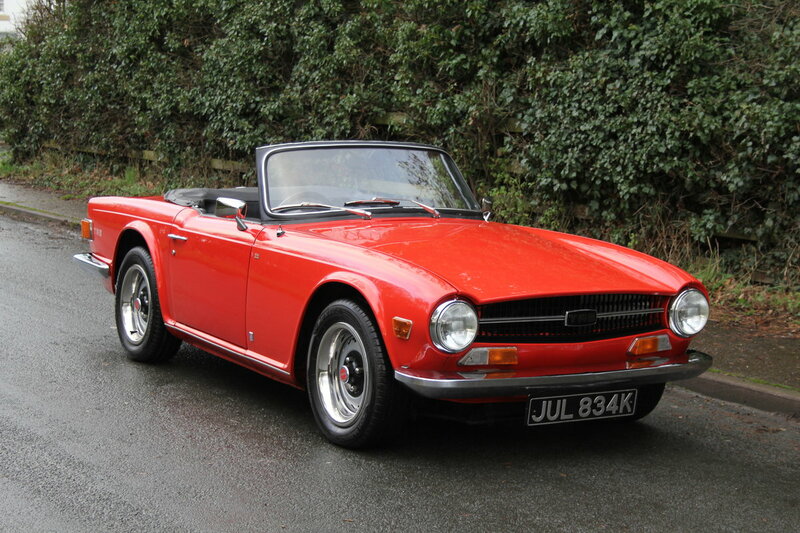 Oil pressure is high, the four speed gearbox has excellent syncro's, the overdrive comes in and out smoothly and the TR6 handles and brakes perfectly. 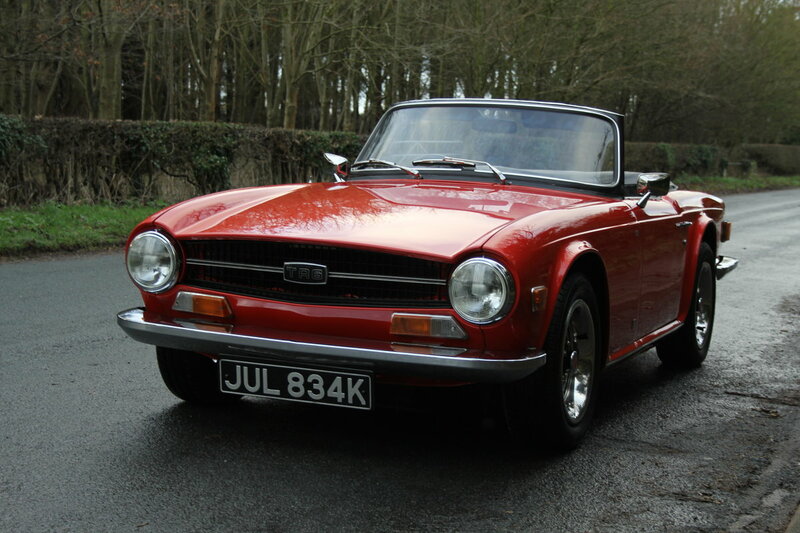 We sold the TR6 for the first time in 2016 to a garage proprietor in the North East who has further improved the car and spent £4000 on parts alone. During his ownership it was taken to the next level covered around 1000 faultless miles before part exchanging the car with us. The fuel injection system was serviced and overhauled, high pressure pipes were replaced and the inlet manifolds overhauled. 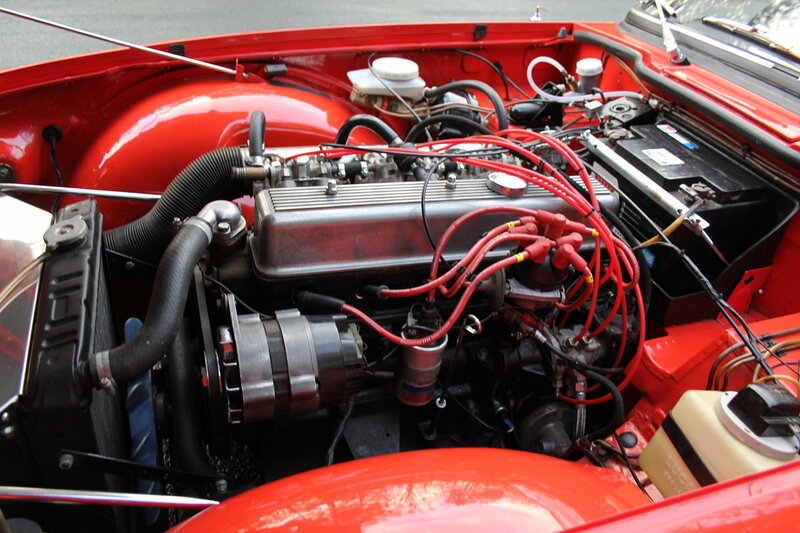 The electrical system was all been checked and serviced and a new set of Magnecor ignition leads fitted. A pair of uprated CV joint type drive shafts were fitted and the rear suspension overhauled with new springs, bushes and suspension arms refurbished and powder coated with uprated studs fitted. 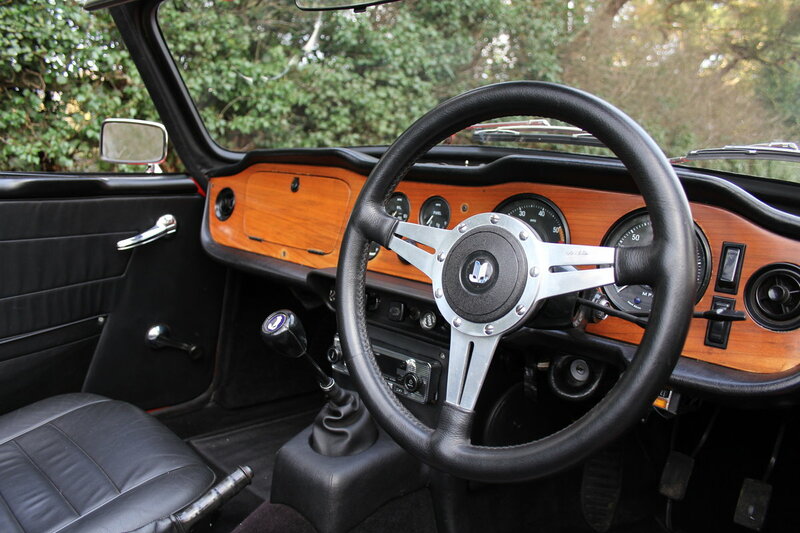 A brand new prop shaft was fitted, a new clutch slave and master cylinder fitted and a new stainless steel exhaust purchased and put on the car. The front suspension was treated to new springs and Spax shocks, brakes have all be stripped, cleaned and serviced and the differential overhauled and new mountings fitted. The engine bay has been beautifully detailed with lots of parts powder coated, wheels have been re-furnished and the grill removed and powder coated. Finally a new set of Dunlop SP Sports tyres were fitted. Taking into account labour, in the region of £8000 has been spent on taking the car to a wonderful level. 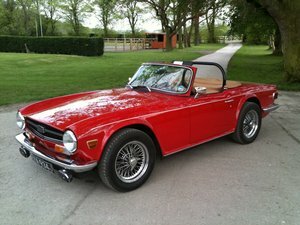 Since then then the TR6 has been with one of our regular customers in Driffield who has attended many TR club runs and events and the car has proven totally reliable, in fact faultless during his ownership.  This is a top class driving car that presents superbly and should prove an excellent purchase that can be driven and enjoyed with absolute confidence.